The A29 is closed between the A259 junction and Westergate after damage to the Woodgate level crossing. A spokesman for the police said the level crossing barrier was hit by an ‘unknown vehicle’ at around 7am this morning (August 10). Police said whatever caused the damage did not stop. Pictures show the northbound barrier hanging off its hinges with Network Rail staff on the scene. Trains are still operating but passing through slowly. 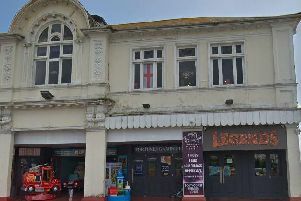 Police have asked anyone who witnessed the incident to report online at https://sussex.police.uk/appealresponse or call 101 quoting serial 209 of 10/08. Network Rail and British Transport Police have been contacted for comment.